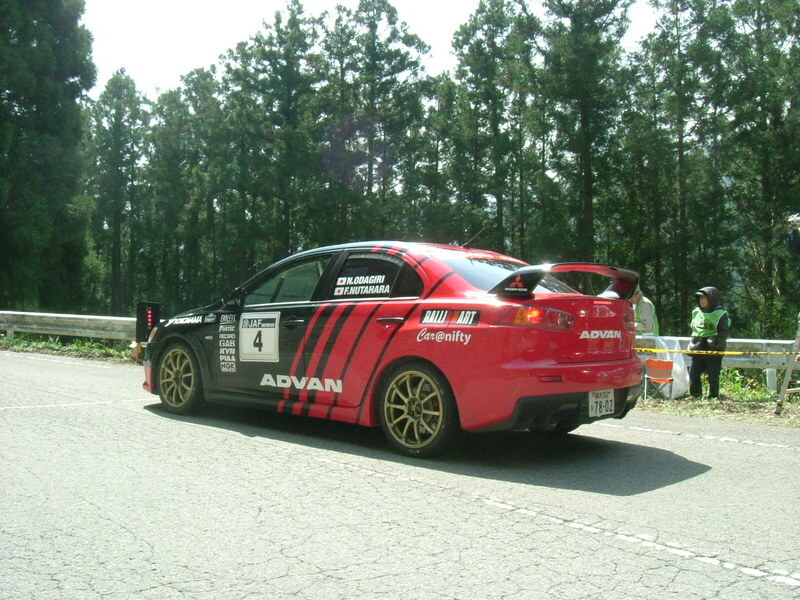 I joined the second Round of the Japan Rally Championship on Apr. 27th. There were many spectators, press members, service crews, food stalls,,,. 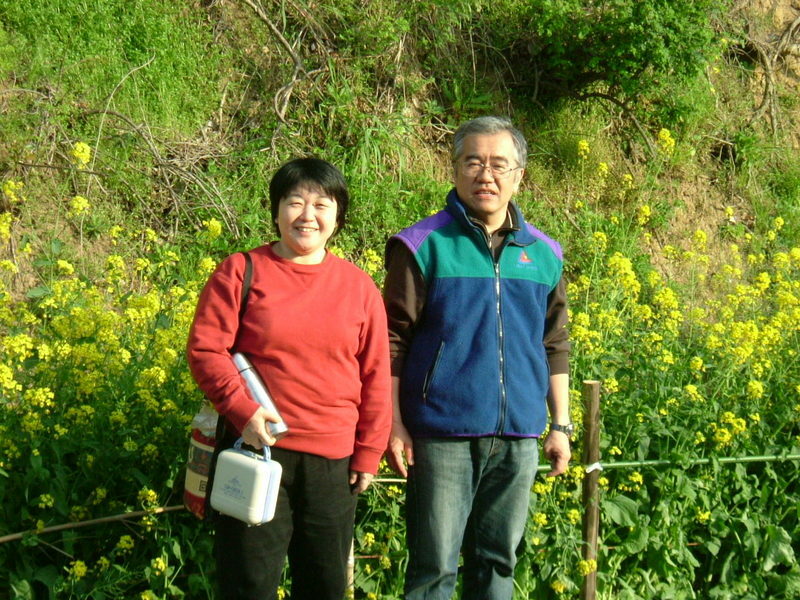 A calm mountain village had completely changed into a popular theme park like Disneyland. My role was standing by to do emergency care in the case of accidents. I was driving rally cars in my university days and am interested in the rally now. I joined it last year and was asked to join it this year. I'm going to attend Rally Japan, one of the World Rally Championship Series, that will be held in Hokkaido next fall as an emergency doctor. I've not experienced a power failure since I became a doctor. Though I had a rather big earthquake 7, 8 years ago in Matsuyama City, a blackout didn't occur at that time. However, if a blackout occurred, what's going to happen to us? Patients on a respirator would be cut off from their air supply. Sputum wouldn't be drawn. If a surgery was going on in the operation room, the patient and the staff would become isolated in the dark room. The operation room has no windows to prevent contamination. Needless to add, a lot of operating gadgets like monitors, anesthesia apparatuses and cautery knives (electric scalpel) wouldn't work. Just at the time the blackout occurred, if we were doing something difficult and fine in a deeper spot in the body, the patient would be put in a serious condition. My hospital is equipped with an emergency generator for rainy days. When the commercial electric supply stops, this generator is supposed to start automatically and we can use electricity for a few more hours. Today the inspection of this generator was done and it proved to be perfect. It was OK, but after the inspection I couldn't get on the internet with my PC. I wanted to call the mechanical staff and get it fixed, but it was on Saturday evening and I thought they surely were enjoying their day-offs and made up my mind to put up with a no-internet night. I was afraid that I would feel bored because I am addicted to the internet, but I could read a few books that I stopped reading on the way. It was relaxing. It's good to spend such a night for a change. The cause of the trouble was the router which was connected with an ordinary electric output. It is now connected to an uninterruptible power outlet. My sleep was disturbed by the wail of a siren this morning. I was on the night shift last night. I concluded the handover with a co-worker and left my hospital. The sky was clear and the cherry trees were in full bloom. In Japan, people customarily have a party underneath the cherry trees. This party is called Hanami. The biggest municipal park in my city is near my house and it's about five minutes' walk from my house. It is one of the best places for Hanami. This park is always crowed on holidays, but the parking lot is closed at five o'clock in the afternoon and so the park gets less crowded after five. A, my wife and I went to the park about five o'clock and I'll show you some pictures in the left column. The cherry blossom season will end in about ten days. That's why we Japanese value the cherry blossoms, I think.